(Post-)Valentine's Day Blog Lurve: Awards! Note: I planned to post this yesterday. Please channel your past self to read this blog post. Happy Valentine's/Galentine's/Saturday, everyone! Whatever you do, I hope it involves chocolate and lots of wine. Over the last week, I was nominated for two separate blogger awards. I figured, what better day than the this commercialized day of love (pardon me, the day of twoo wuv) to share them with you? 1. First up, we have the Versatile Blogger award, given to me by the lovely Stefani of Caught Read Handed! For this one, I'm supposed to thank the person who nominated me (thanks again, Stefani! ), share it with some others (I'm bad at tagging—if you see this, considered yourself awarded! ), and give you seven facts about myself. I'm breaking out my most interesting truths from Two Truths and a Lie for y'all. 1. I have a form of synesthesia that allows me to taste words. This happens when I speak, read or hear them, and it comes in the form of specific taste or texture sensations. For instance, Wednesday has always tasted like ricotta cheese. Don't ask me to explain my superpower—I really can't! 2. I'm related to Abraham Lincoln... somehow. 3. I've never broken a bone and sincerely hope to keep it that way for the rest of my life. 4. I've suffered from generalized and social anxiety since middle school, but I'm getting much better at coping with it! 5. I could probably eat Mexican food every day. Bring me enchiladas and guacamole if you want a new BFF. 6. I originally went to college thinking I would become a journalist. Now I'm working for a developmental psychology lab. I'm not sure what comes next, but I've got a few ideas. 7. When I was a kid, my dad played bass for a band that opened for Vitamin C and Smash Mouth. The other third graders in my after-care program thought I was pretty fly after that. 2. 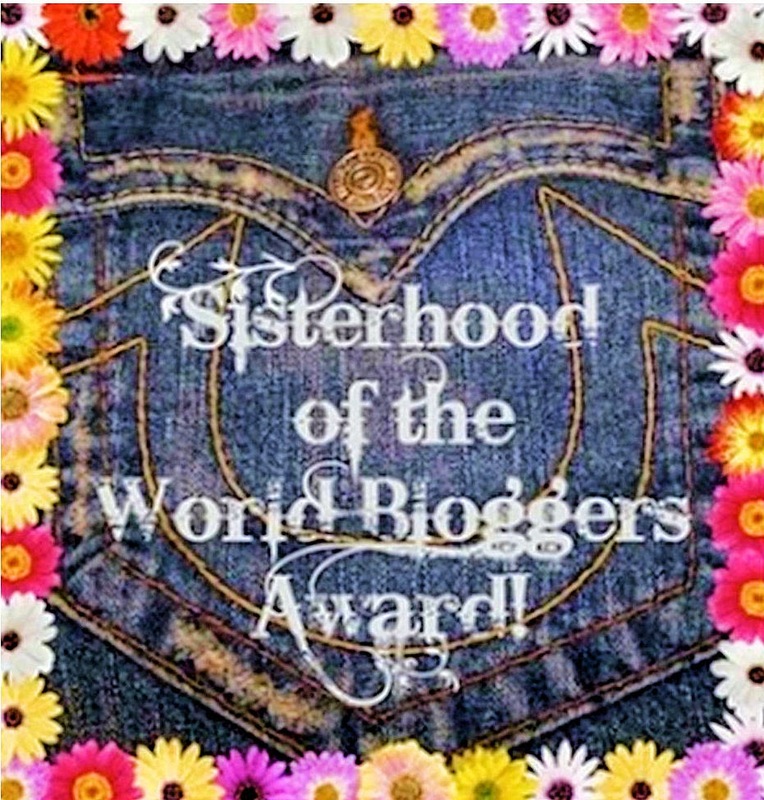 Next up we have the Sisterhood of the World Bloggers award, given to me by the equally lovely Julianne of Outlandish Lit! (Thx, grrrl.) I'm supposed to 1. thank the blogger who gave it to me and link back to their site (check), 2. share the award on my blog (check), 3. answer 10 questions, and 4. tag 10 people to answer 10 of your own questions. Again, bad at tagging/coming up with questions, so if you see it, give Julianne's questions a whirl. She wrote some good'uns! 1. What's the weirdest book you've ever read? I'm going to go with Haunted by Chuck Palahniuk, though I think "gross" may be a better descriptor than "weird." 2. 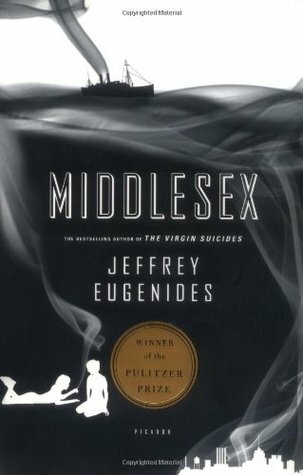 What's your favorite book cover? 3. Condense the summary of your least favorite book into haiku. The incomparable The Unbearable Lightness of Being by Milan Kundera, the most spiteful spite-read I've ever... spite-read. 4. If you've met an author, who was it? If not, who would you like to meet? Not sure this counts, but I really, really want to be best friends with Deb Perelman of Smitten Kitchen. Her writing is funny and adorable, and her debut book (a Christmas present of mine) is already getting the spattered, crinkly pages of a well-used cookbook. 5. Tell me your personal ebook feelings. I adore the Kindle Voyage I got over the holidays—I can literally carry thousands of books around with me every day. No more bulging purse and tough decisions! On the other hand, I think I'm a more careful reader when I read physical books, as it's much easier to fly through a book when all I have to do is touch a button. Overall, though, I don't think it's been a huge problem, and e-book portability can't be beat. I'd say my feelings are overwhelmingly positive with just a smidge of reservation. 6. What book do you recommend to people most? 7. How do you feel about open endings? Depends. If there's been a lot of build-up and you don't get the promised climax, well... that's just meanness and poor storytelling. If the rest of the book suits it, it isn't as frustrating. I know this is kind of a cop-out answer, sorry 'bout it. 8. You're Jack in The Shining. What line from a book will you type over and over again to frighten your family? Oh man, this very much depends on the family member. For my grandparents, probably, "I'm never going to graduate school." For my dad: "I'm thinking about taking up religion." For my mom: "I'm deleting my Facebook account." 9. Do you like me? Circle one: Y/N. Just kidding. What's the worst book recommendation you've ever received? YYYYY. Umm. Wow. I don't know. I think I'm bad at taking people's recommendations, or they just don't give them to me. I vaguely remember someone saying I'd probably like Looking for Alaska by John Green and not being so thrilled by it. 10. What book would you have sent into space to best represent humans? 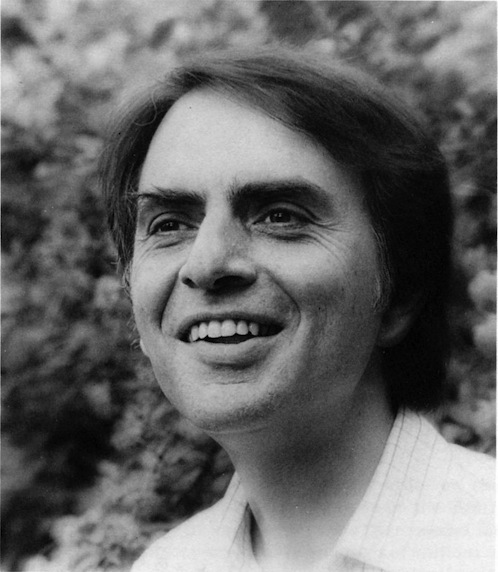 Something by Carl Sagan, for sure. It would show we've (or at least one person has) given a lot of thought to living in this funny little universe of ours. I'd make sure that whichever book I send has a photo of his fabulous eyebrows. That might actually have been the deciding factor here. :D! Synesthetes, unite! That's so awesome about it affecting how you think about people/characters, too. I definitely base my favorite/least favorite words off taste and texture. Galaxy? Mmmmmm. Delivery? Ugh. Ok...so the synesthesia thing is kind of cool. Although it makes me wonder, are there certain words you have to try and avoid because they give you tastes or smells that make you feel ill? "Delivery" is a gross one. So is "licorice," though I think that's because I don't like licorice. Mondays with Montaigne, #2: "Of sadness"